Update your knitwear collection with the versatile Nasello Knit from Maxmara Studio. 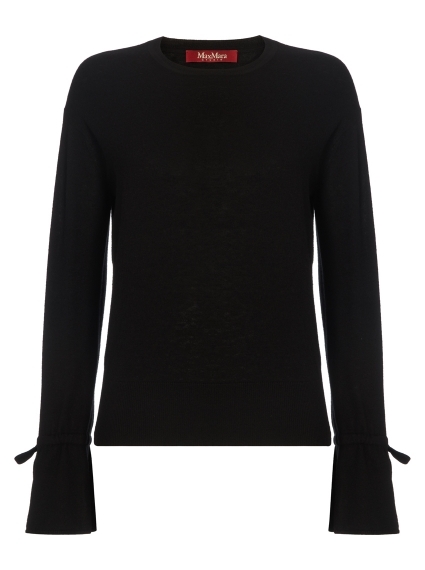 Crafted from a blend of wool and cashmere, the relaxed fit jumper features low set-in sleeves with laces to tie at the cuff. Wear with smart tailoring, pleated midi skirt or over shirting.